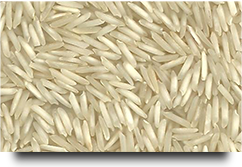 1.Steamed Basmati Rice is one of the most delicate type and have very good cooking results because of its length and flavor. 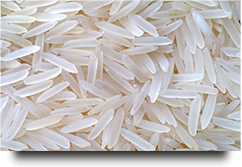 The steamed Basmati rice is prepared by very carefully and delicately handling the Paddy in warm water for some particular time and then cleaning the grains to its final form. 2.The Creamy Sella Basmati Rice is very good for preparing the Biryani food as it has little hard texture as well as very good length after cooking. 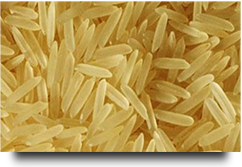 The rice paddy is treated under special conditions to produce the creamy Sella Basmati rice. 3.The Golden Yellow Sella BasmatiRice is more better than Creamy Sella while preparing Biryani with red meat because of its hard texture.The Golden Sella Basmati rice is produced with longer process of water treatment of the rice paddy under very strict temperature and conditions.